Only a little over a week after National Ice Cream Day (and two teenage boys live-videoed themselves stealing from an Ice Cream truck), ice cream is once more in the news. Unfortunately for the kiddies, though, it’s because a New York man was arrested after residents of the Clarence, New York, neighborhood that he was driving through called the police, reporting that he was shouting at children and driving around in nothing but his underwear. 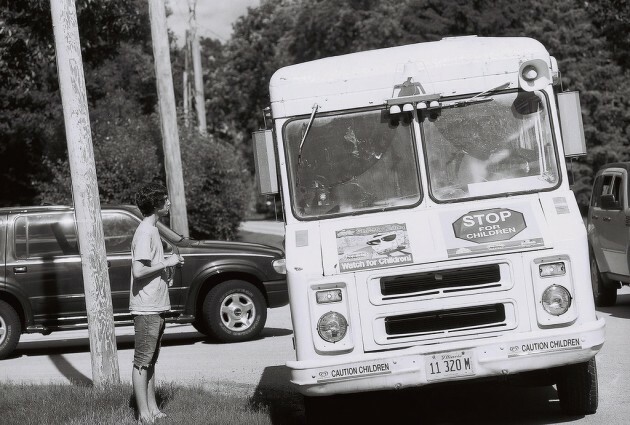 When the Erie County deputies arrived, lo and behold, the man, a 24-year-old named Ryan Duff, was indeed driving the ice cream truck sans britches. After investigation, officers came to believe that Duff was high on drugs, so they brought him back to the police station. Even though Duff refused drug testing, police said a drug recognition expert concluded that Duff was impaired by drugs. Duff was charged with driving while under the influence, as well as a number of drug and other charges, then released pending his return to court in August.